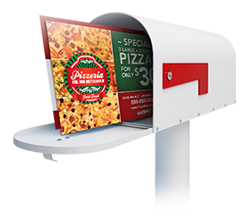 imageMEDIA provides high-quality, full-color printing, direct mail marketing and digital advertising services in Jacksonville — Postcards, Posters, Brochures, Business Cards and more! imageMEDIA is located in Tarpon Springs, a thriving community on the west coast of Florida known for it’s rich history in sponge diving. This convenient central Florida location makes us the perfect choice for your Jacksonville printing, direct mail and digital advertising needs. The proven printing leader in the Jacksonville area is imageMedia. We can answer all of your Jacksonville printing needs, and offer business solutions you may not even know about. With a reputation for quality products and outstanding service, we can be your one stop print shop. Jacksonville is a business-friendly riverside city, and the largest city in area in the whole United States. However, this area is not too large for imageMEDIA to effectively take on it’s printing needs. Business owners can save loads of money, time and resources by using our services. We offer all of the standard printing services, as well as many specialty projects, and we work hard to customize based on our customers’ needs. With great business solutions for mail campaigns and marketing, our customers are thrilled with our tools for success. We also ensure continued support from our friendly and helpful staff, and will gladly prepare a custom quote for any special request. We, at imageMedia work hard every day to keep our well-earned reputation and fleet of happy customers. Every possible type of printed material can be produced by imageMEDIA. From promotional material, to sales aids, to signs, there is no job too big or small in Jacksonville. Printing options include banners, brochures, business cards, catalogs, letterhead, menus, greeting cards and tons more! Being able to achieve all of your Jacksonville printing needs in one place offers incredible efficiency. Time saved from running from one place to another saves gas, as well as effort. Large scale print jobs and mail print campaign projects can move at rapid speed when using the right tools and working with the right printers. We are truly dedicated to Jacksonville printing excellence. We offer design tools that are available to help create personalized and creative material. Users can work at their own pace, creating the perfect design for their postcards or brochures. We offer a large selection of templates and user-friendly tools, as well as amazingly helpful and creative staff to assist. On top of our high-quality products and printing, customers can enjoy affordable marketing tools to assist in production and profit. Resources such as the imageMEDIA Direct Mail Return on Investment Calculator help our clients establish the most profitable plan of action. We also offer mail list services, that include cleaning up your lists, using the National Change of Address Registry, for more effective campaigns. We want to ensure that every dollar spent with us equals the highest value possible. All of the wonderful resources we offer would be useless without our dedicated staff. We pride ourselves on reliability, and offering some of the best business solutions in Jacksonville. Printing is an art for us, and excellence is the only standard we allow. In addition to printing and direct mail marketing, imageMEDIA can help you reach more Jacksonville customers with local digital advertising and online banner ads. 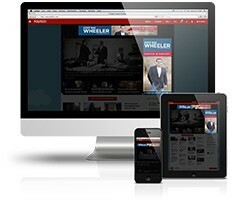 Now your business can deliver affordable Jacksonville digital advertising to customers on premium websites like Fox News, ESPN, Facebook and more — on any device. Nurture interest with retargeting and deliver online banner ads to customers that have visited your website. Reach new customers in Jacksonville online with digital advertising by targeting interests and demographics using the same data as Fortune 500 companies. People walk out to their mailbox and spend countless hours online every day. We make sure you never miss an opportunity to reach new customers by delivering your Jacksonville direct mail marketing and local digital advertising to the right customer at just the right time. Contact us and learn more about why imageMedia is the perfect partner for all of your local Jacksonville printing, direct mail and digital advertising needs. Complete the form below and download a free marketing toolkit that includes printing, direct mail and digital ad design samples, information about imageMEDIA and some great ideas to help you reach new Jacksonville customers and grow your business. Available for download instantly!